It’s not a perfect solution, but it’s a place for us to start church-shopping. 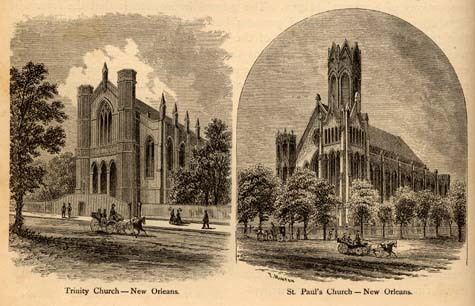 Several options to narrow down churches on this site. 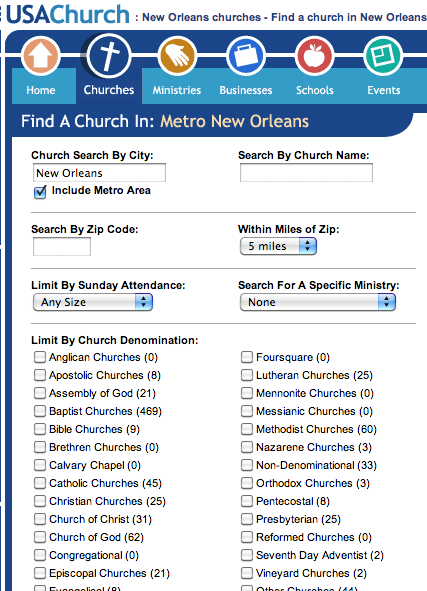 You can sort the churches by name, distance from a ZIP code, Sunday attendance size, specific ministries and denominations. And, you can choose several denominations. The results show up with the church name, denomination, phone number and major cross street. Some of them have been updated with email contact info, a church website and average attendance figures.